Former welterweight world champion Antonio Margarito will return to the ring for the first time in 13 months on Saturday when he squares off against Carson Jones, but the 39-year-old is already thinking about his future – a potential third fight with Miguel Cotto. 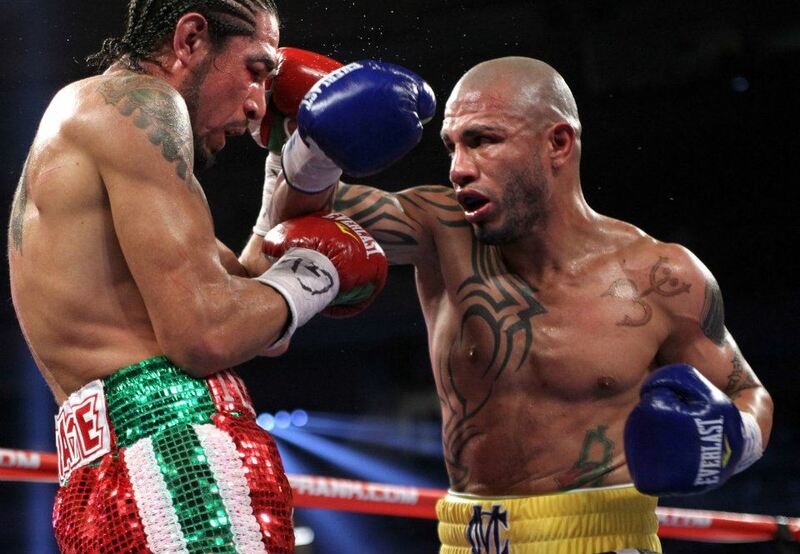 In 2008, Margarito defeated Cotto by 11th-round TKO in a welterweight title fight that many suspect was sabotaged by Margarito’s use of illegal hand wraps after he was caught prior to a 2009 title fight against Shane Mosley with illegal wraps containing sulfur and calcium, which, when combined with oxygen, forms plaster of Paris. Mosley went on to savagely beat the Mexican in one of his career-best performances with a ninth-round TKO victory. Things didn’t get much better for Margarito. His right eye was badly damaged in a brutal points defeat to Manny Pacquiao in 2010 and Cotto eventually got his revenge in 2011, battering Margarito’s surgically repaired right eye throughout the fight until referee Steve Smoger had seen enough. Margarito (40-8, 27 KO’s) spent the next four years on the mend before returning for two fights in 2016, scoring 10-round points victories against Jorge Paez Jr. in March and Ramon Alvarez in August. However, he looked old, slow and vulnerable against inferior opposition. Cotto (41-5, 33 KO’s) looked sharp in a dominating performance against Yoshihiro Kamegai Saturday night to claim the vacant WBC super welterweight world title. He announced in early August that he would be retiring at the end of the year, but is looking for one last fight – possibly in December. According to trainer Freddie Roach, Cotto wants the winner of Saul ‘Canelo’ Alvarez vs. Gennady Golovkin to be held on September 16th at T-Mobile Arena in Las Vegas. Additionally, former middleweight champion David Lemieux has also expressed interest in fighting Cotto. It appears Margarito, whose right-eye remains disfigured, might be at the tail-end of a short list.